It's the end of the college football season, and the year has produced a financial bonanza for top tier schools all over the country. ESPN will pay over 7 billion dollars for the rights to telecast just seven games a year over the next 12 years. Television revenue has doubled for major college football programs over last year. Stadiums are expanding and ticket sales are at an all time high. So let's ask the question-is it all about the money? College football and other athletic programs were supposed to be extra curricular activities; a break from the rigors of taking classes and qualifying for a degree. No more. Just absorb the words of Cardale Jones, the starting quarterback for national championship finalist Ohio State. His message on Twitter complained: "Why should we have to go to class if we came here to play FOOTBALL, we ain't come to play SCHOOL, classes are POINTLESS." Maybe Cardale has a point. For many colleges, it's all about the dollars and winning football games. My old friend and former University of Texas football coach Mack Brown summed it up this way: "When you hear college presidents and athletic directors talk about character and academics and integrity, none of that really matters. College football is growing closer and closer of being like the NFL." When it comes to priorities, my home state's football powerhouse is a case in point. Louisiana colleges are in a financial free-fall, with new budget cuts being imposed yearly. LSU has seen its state-funding cut by over 40% in recent years. The endowment of the state's flagship university is one of the lowest of any major colleges in the country. In the most recent edition of U.S. News and World Report's college rankings, LSU weighed in at a lowly 129th in the nation. 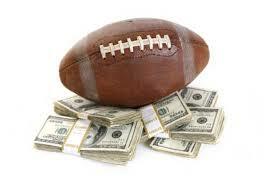 But when it comes to football financial rankings, the Fighting Tigers are high on the list. In the recent Forbes rankings of the most valuable football teams, LSU comes in at Number 4, with a current value of just under $100 million, and a football profit last year of $47 million. Coach Les Miles is paid $4.3 million plus performance bonuses and endorsement fees. Several of his assistants are paid over $1 million. To compare athletics and academics, the University's top remunerated professor, world-renowned obesity expert and Executive Director of the LSU System's Pennington Biomedical Research Center, Dr. Steven B. Heymsfield, is paid $416,000 annually. Most Wall Street hedge funds would love to see blue chip stocks increase at the rate of college football revenue. Schools like LSU are paid over $12 million by companies like Nike, just to wear the company's logo. But to make that kind of money, the football team has to be a winner. And to win, even the top academic schools often cut corners. My alma mater, The University of North Carolina, consistently ranks as one of the top academic universities in the U.S. But the alums want a football winner. In recent months, press reports documented that for the past 18 years, thousands of athletes, primarily football players, have taken fake "paper classes' with no attendance and no work performed. And just what do these athletes receive? Only enough to cover the basic college expenses - room, food, tuition and books. No pocket money to go to the movies, no gas money, no extras whatsoever. So we have college athletic programs raking in millions on the backs of talented, disciplined, hardworking athletes, without sharing the revenue with those responsible for generating it. Such a system is ill-defined at best and hypocritical at worst. Fifty-six years ago, I was lucky enough to attend the University of North Carolina on an athletic scholarship. I was given a housing and food allowance that exceeded my costs, as well as "laundry money" that allowed for weekend dates, gas, and a few frills above the basic scholarship outlays. What I received then was equivalent to some $300 in pocket money if the same were allowed today. But the NCAA tightened up the rules, and college athletes get less today than athletes like me received some years back. Something is definitely wrong with the way college football is run. But with all the money coming in, don't expect much to change. After all, we only care about winning.